Has Your Child Had a Serious Accident While at School? Has your child been seriously injured as a result of the wrongdoing, negligence, or unsafe conditions present at his or her school? Angotti & Straface Attorneys at Law L.C. in Morgantown represents parents and guardians of children throughout all of West Virginia who have been injured while attending school, extracurricular events, field trips, or while boarding, riding, or exiting a school bus. At Angotti & Straface, we are not just attorneys. We are parents, as well. Bullying, Field Trip, or School Bus Injury in Charleston or Huntington? While most of the schools and buses in West Virginia are staffed with responsible teachers and employees who sincerely care for the well being of our children, there are those who have failed to uphold their duties. Although school districts in the state of West Virginia are afforded some protections against legal liability, these do not apply in many injury cases because criminal, civil, or tort laws and actions remain applicable. All staff members owe a duty to generally ensure the safety of the children placed into their care by supervising students, providing them with adequate, appropriate instructions before allowing them to participate in any activity with a risk of harm, and providing for a safe environment. 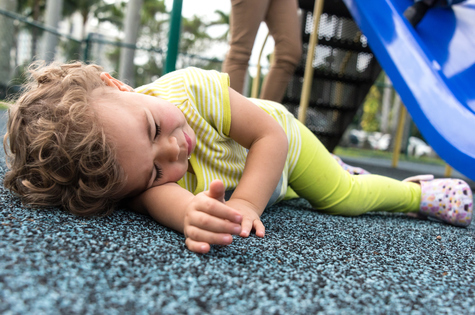 If your child has been injured because a staff member breached their duty, and that breach was the cause of the injury, you may have cause to file a lawsuit against the responsible party or parties involved. Unfortunately, we have witnessed injuries suffered by children in schools throughout West Virginia that have left children with serious injuries, including broken bones, brain injuries, and spinal cord damage. Many of these injuries have occurred during football practices, games, and other sporting events when unsafe equipment and conditions existed, and when coaches acting on behalf of the school district failed to halt activities during extreme weather conditions, provide adequate rest breaks, and monitor the general condition of the children under their care. You and your child have a right to obtain compensation for the medical bills and expenses incurred as a result of someone’s breach of duty to care for your child, whether in public or private school. Contact Angotti & Straface for a free initial consultation to discuss your case. We have in-depth knowledge of how the laws governing school liability apply to the injuries that your child has suffered and will work with you throughout the entire process to ensure that you get justice for your child, as well as the compensation that you are entitled to receive. Call us at: (304) 292-4381.